‘Transformers’ director Michael Bay has revealed plans to completely transform the origins of 'Teenage Mutant Ninja Turtles' for a new movie. Launched in the mid-1980s, the 'Teenage Mutant Ninja Turtles' (renamed 'Teenage Mutant Hero Turtles' for a number of European countries, including the UK) have gone on to star in several animated series, but the new live-action movie from Paramount will have a questionable twist. Originally, the characters were pet turtles that were exposed to toxic waste and turned into superheroes we know and love. However, director/producer Bay, best known for the 'Transformers' movies, will turn the turtles into aliens for their latest big screen outing. 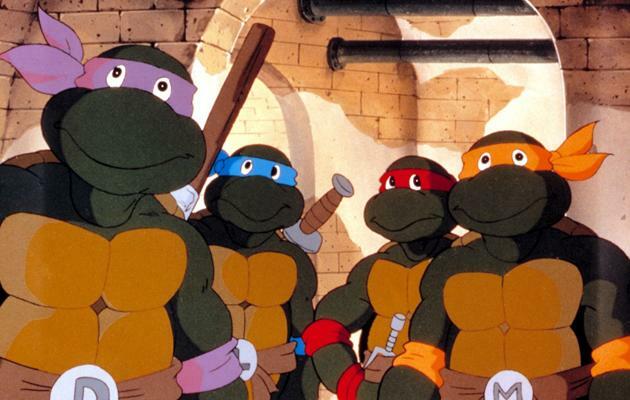 Appearing at the Nickelodeon Upfront 2012 event at the Lincoln Centre in New York, producer Bay said that he and potential director Jonathan Liebesman are totally changing the original story for the 'Teenage Mutant Ninja Turtles' movie. Having already brought ‘Transformers’ to the big screen with mixed feelings from fans of the original series, Bay is no stranger to recreating the 80s – albeit with serious question marks. The now-alien turtles are set for a Christmas release date in 2013.